My last day attending Kuala Lumpur Fashion Week Ready to Wear at Pavilion KL. 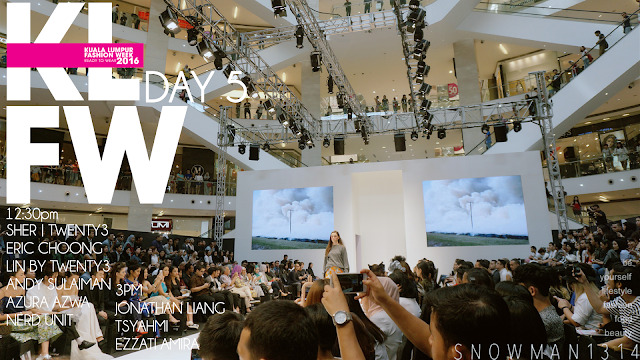 On the day 5 of Kuala Lumpur Fashion Week Ready to Wear 2016, I attend 2 of the shows one is 12:30 pm and 3 pm. 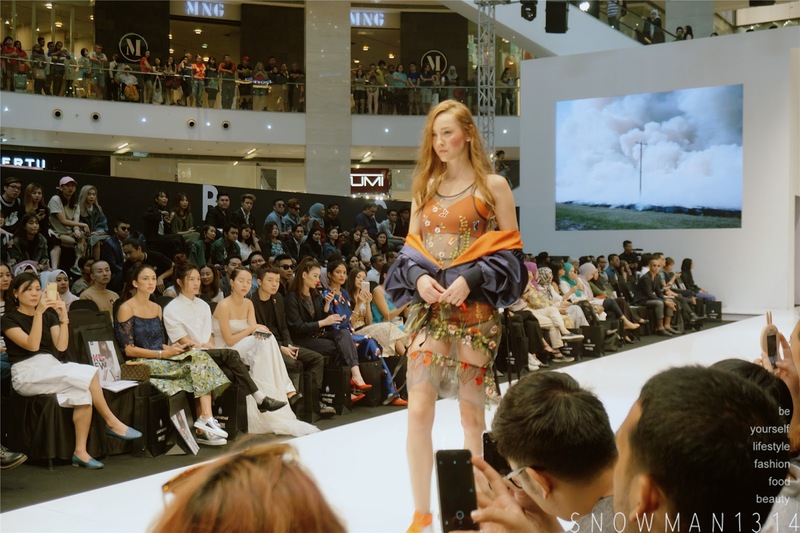 Can't believe is the last day of the KLFW 2016, is also the end of the Fashion Show for this year. I hope I have the chance to attend for next year show too. 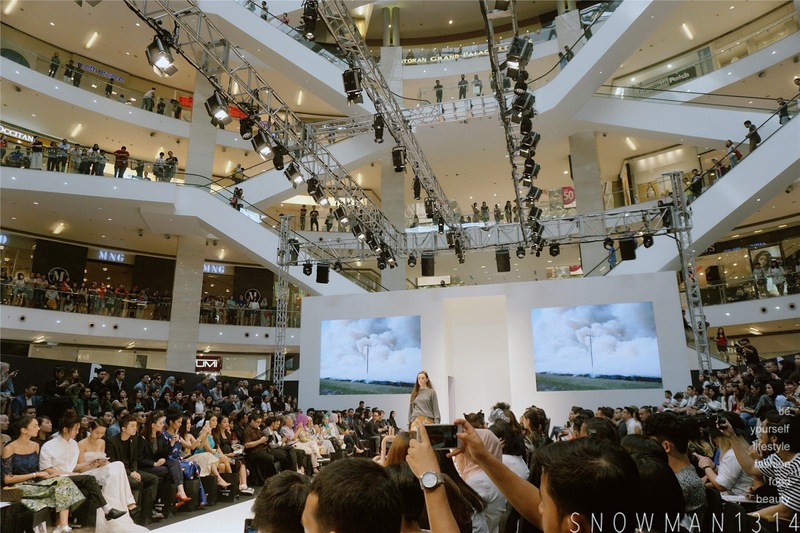 It was definitely an exciting opportunity to be able attend for KLFW 2016, I have attend most of my favorite designer show for this year. I have no regrets at all! Hope for more opportunity to come for next year. Thanks God for all the blessing pour unto me! On Day 5 I attend the 12:30pm show with Sher and Lin by Twenty3, Eric Choong, Andy Sulaiman, Azura Azwa and Nerd Unit. 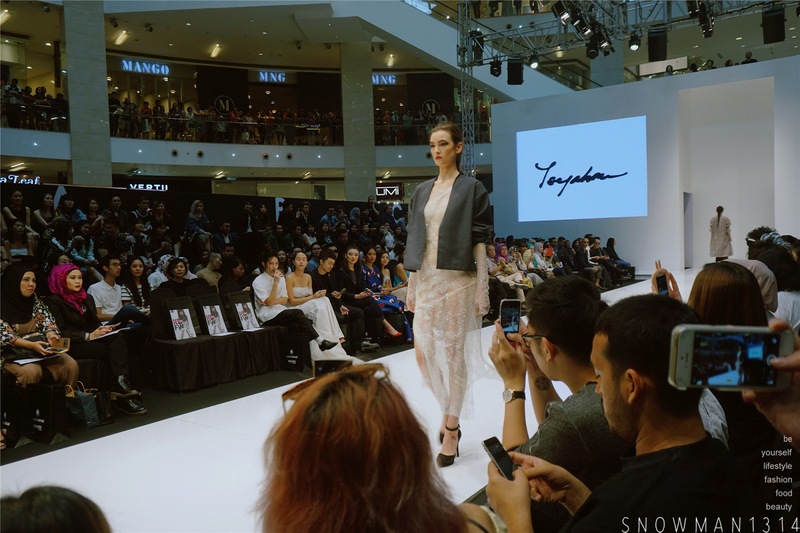 As for the 3pm show, we have Jonathan Liang, Tsyahmi, and Ezzati Amira. Today all Black look. Basically during the 3 Days show I attend, all of my outfits are basically in black and white color. I don't want to be overpowering the stage but still want to have classy and fashionista look. Fourfeetnine is here! With the adorable Penny too, it was my first time seeing Penny. Both of them wearing Mother and Girl outfit together is so cute! Whenever I saw this stage from KLFW, I will feel super excited and be such near to a fashion show stage is like a dream for me! Move by Twenty3. It was their own sports attire line which is super modern and fashionable. Where you can always wear it for a night out or gym fitness. 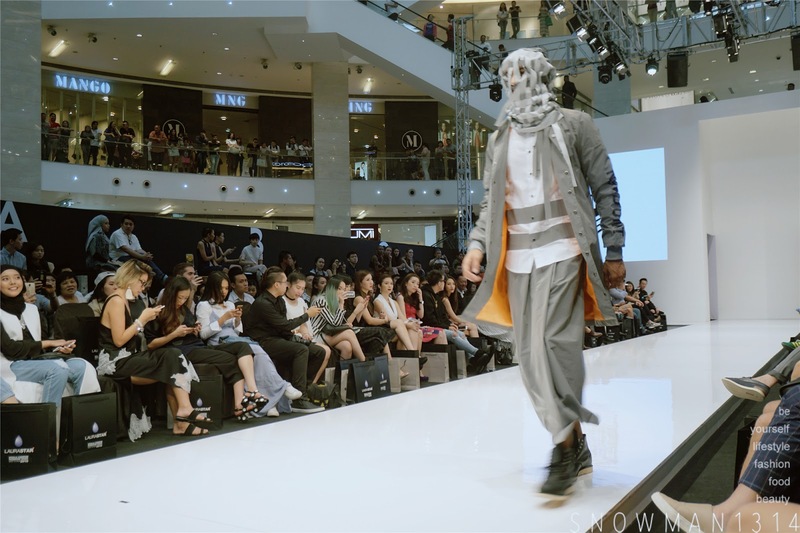 It's been the second year I join Twenty3 Fashion Show at KLFW. Never fail to impress me and I hope that they will have this available on their website too. I have been following Twenty3 for a few years already. 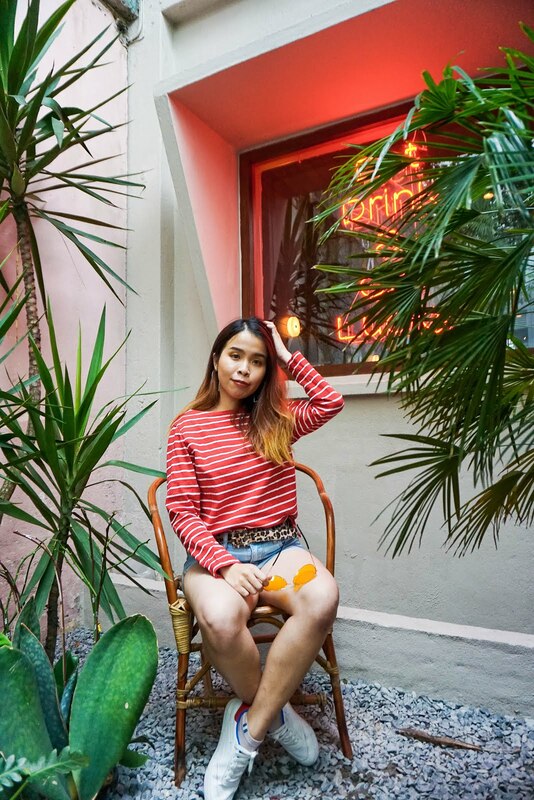 From a small online boutique until now it was well known in this field. It's something I feel proud of. 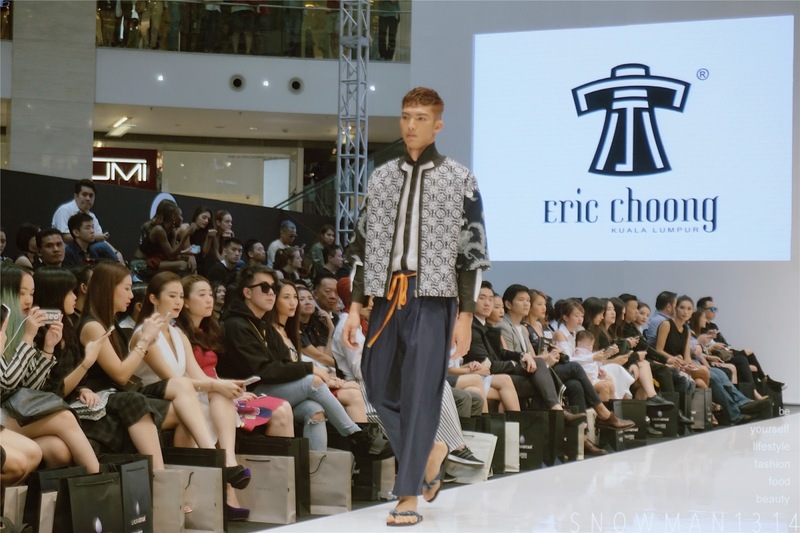 Eric Choong Men Line brand. Eric Choong is well known for his Bridal wear and His penchant for the extravagant and luxurious translated into breathtaking wedding gowns sealing his reputation as a leading bridalwear designer. 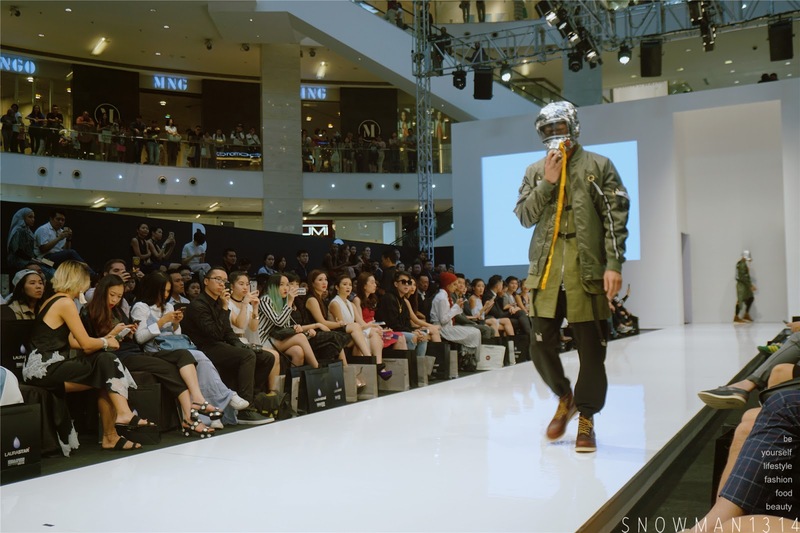 In this show, Eric Choong uses many patterns with minimal color to create this funky and Japanese mood style for this Capsule Men's Collection 2017 - Timeless. Next up is Lin by Twenty3. 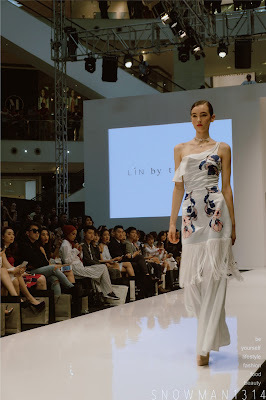 A more feminine and beauty pieces with all the flower and colorful print on the clothes. 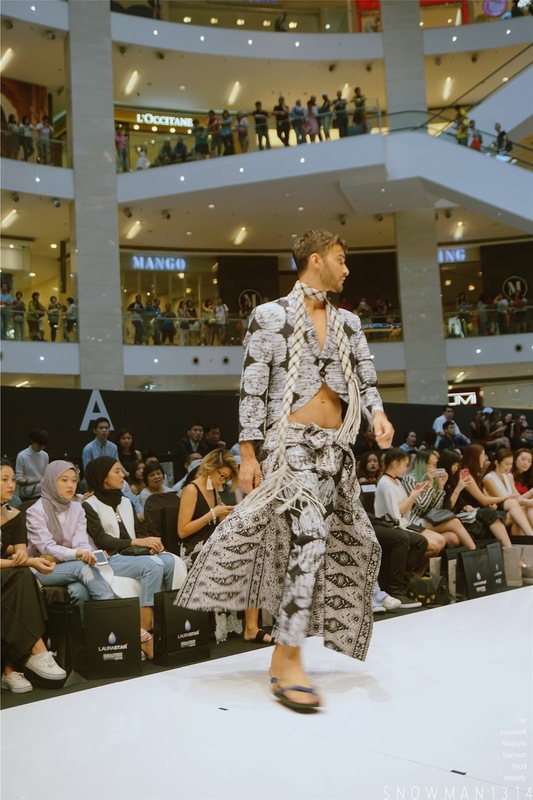 The pieces in this series are suitable for evening wear and casual date out with friends. I find the evening wear pieces is really pretty. 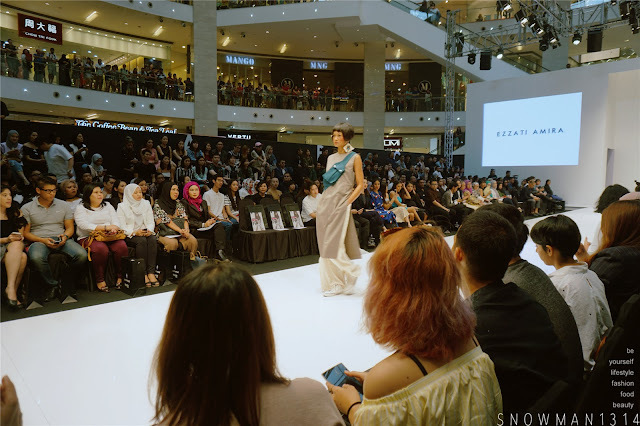 Azura Azwa collection is really elegant and classy pieces. Ruffles and Tulle material are such romantic details you can see in this collection. NERD UNIT is the last show for the 12:30pm show. 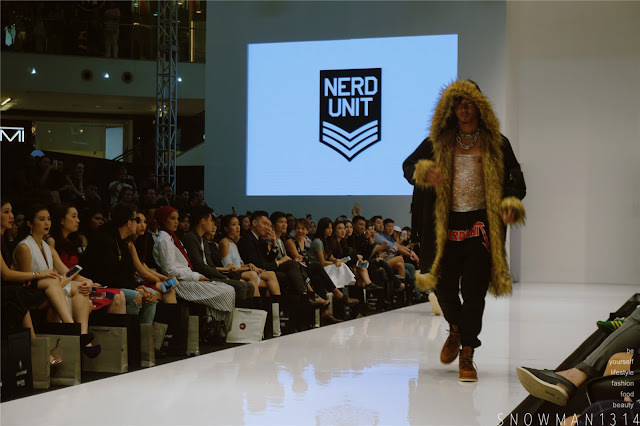 I love the strong characteristic brings out in this fashion runway for Nerd Unit. Each of the outfits has its own story. 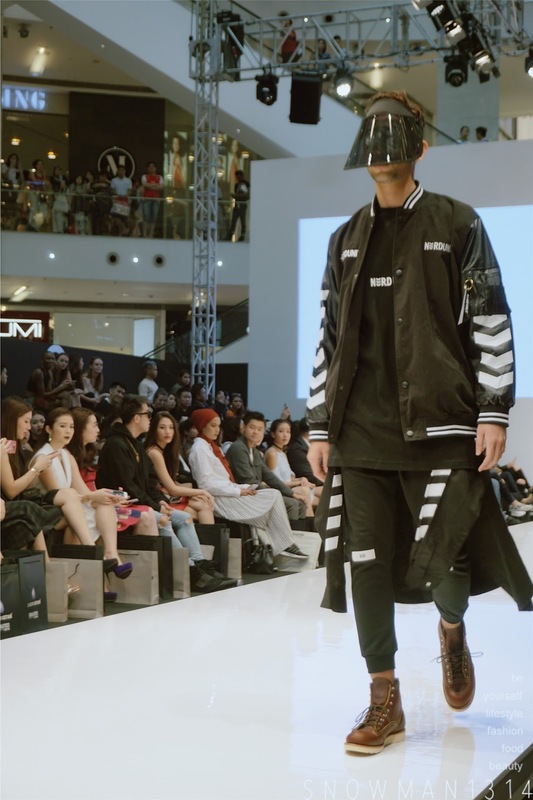 Although the collection is for men, but if you a girl who love all these boyish looks, you might want to try it. Next will be 3pm show start with Ezzati Amira. The collection is totally me because I basically love all the outfit from Ezzati Amira, super casual, cozy and comfortable women wear that makes me wanted to get all them. The color looks really comfortable and comes in cool tone color but out of a shimmer sequin maroon top is all that you need. Tsyahmi Collection was another amazing collection too. Using the texture of the Sheer Tulle, it brings out the sexiness and mystery of women. Love the pattern and the texture of the material. Another collection everyone of here waiting for, Jonathan Liang Foragers SS17 Collection. Love the flower print again, especially the skirt one. As for the sheer with the flower stitches looks really exquisite, love it very much! Here's my Video for Day 5 Runway! 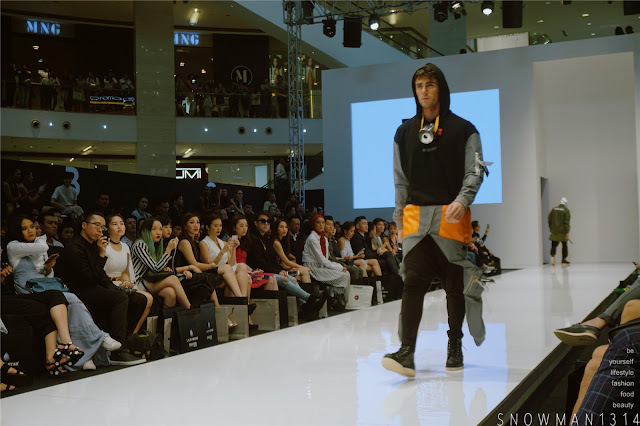 Thanks, SmallnHot also for giving me this chance to attend Kuala Lumpur Fashion Week Ready to Wear 2016. 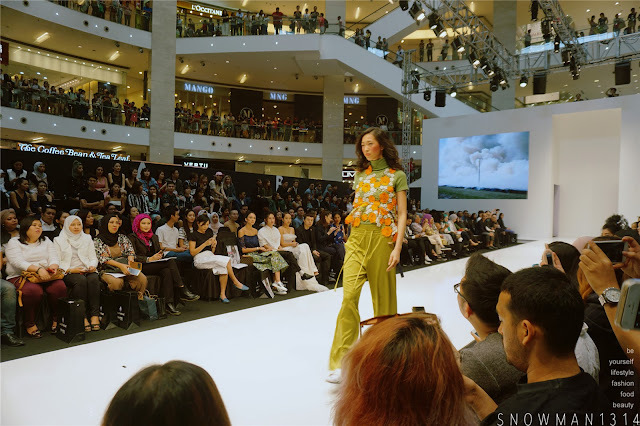 Here's end my journey with Kuala Lumpur Fashion Week Ready to Wear Day 2016 at Pavilion KL. 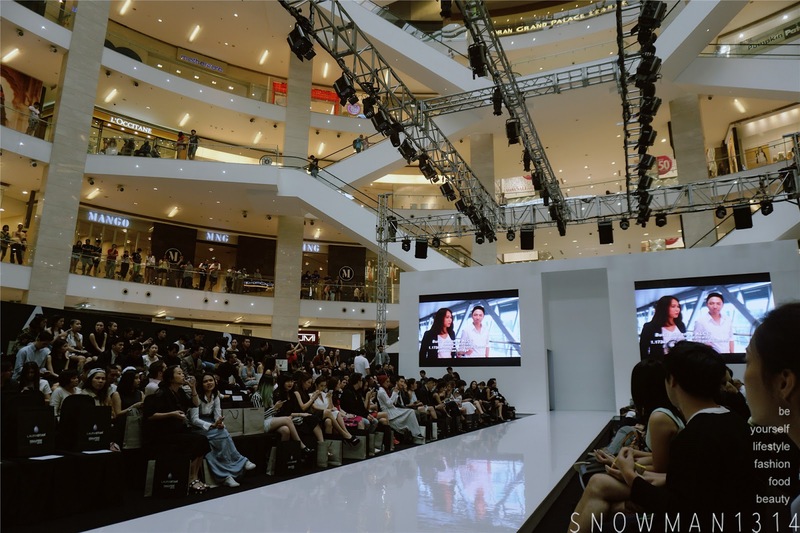 I still feel that it's like a dream came true for me to be able to attend this KLFW 2016 again. 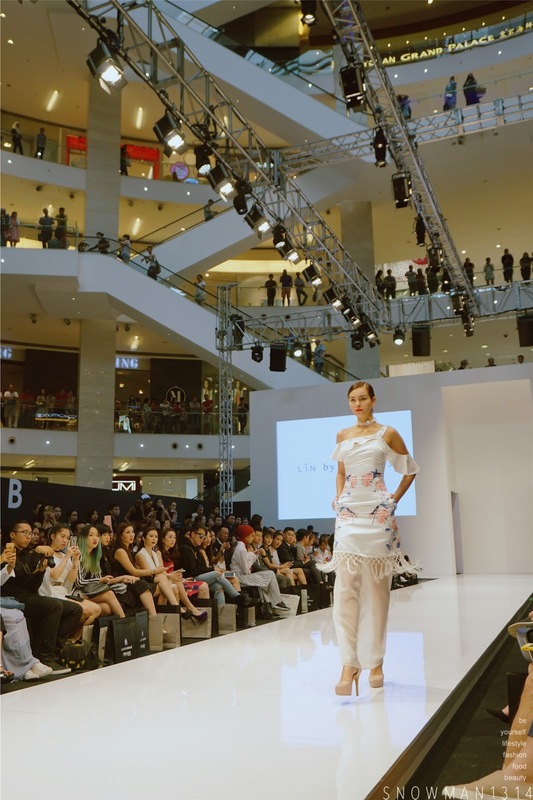 Hope you guys like all my photos and post for KLFWRTW2016. Using only mirrorless camera which can't really capture the high-quality image from the runway, but still able to see in front of your eye is quite amazing and always an interesting experience for me. I will be updating my Outfit that I wear during the 3 Days of KLFW 2016. Till Then. 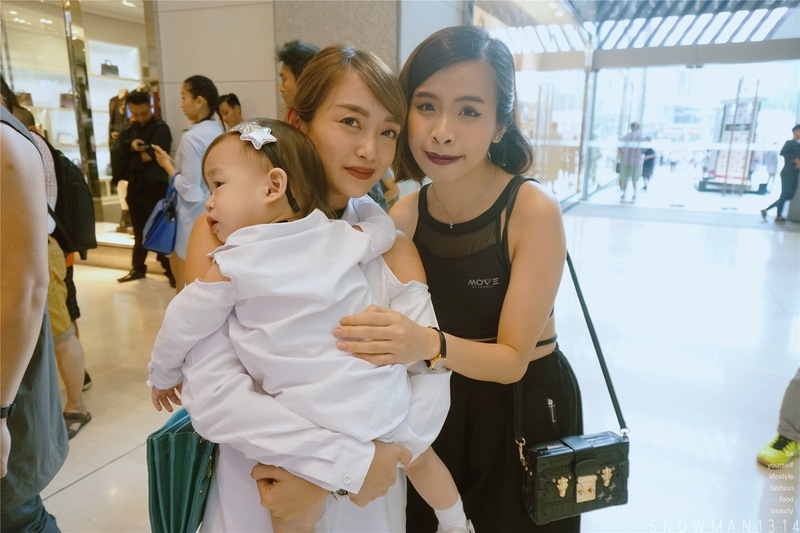 Read here for more info about my KLFWRTW 2016 Journey.